CableFree is a name synonymous with excellence in the field of wireless communications. CableFree products have been installed in over 70 countries worldwide since 1996 and are powering the world's largest organisations and networks. 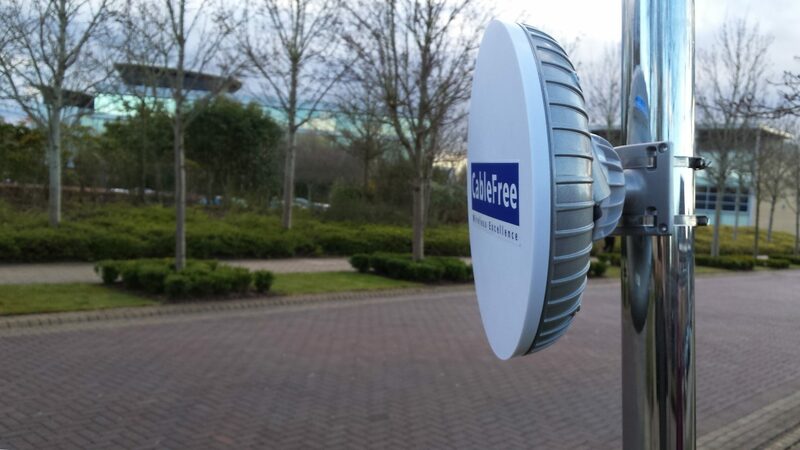 CableFree products are manufactured by Wireless Excellence Limited, based in Oxford, UK. CableFree products are in use in over 70 countries with applications including Telecommunications, Campus Connectivity, Corporate, Finance, Education, Healthcare, Industrial, Broadcast, Military and CCTV security. CableFree products that are reliable, fast and cost-effective alternatives to traditional wired networks. Our wireless links have been proven to deliver up to 99.999% availability and extremely high reliability. Originally Established in 1996 by visionary entrepreneurs, Wireless Excellence Limited designs, manufactures and sells the high-capacity CableFree range of wireless communication systems for outdoor wireless networks covering urban, rural and national-scale connectivity. The company provides a range of wireless products including diverse mix of MIMO Radio, Microwave, Millimeter-wave, Free Space Optics (FSO), Wi-Fi and other technologies with speeds ranging from 2 Mbit/s up to 10 Gbit/s per link. Wireless Excellence has achieved several world-first records such as the first Commercially available Wireless Gigabit links and continues to innovate with continual release of new and innovative wireless communication products. The company has ISO-9001 certificated manufacturing and product development facility based on the Oxford Science Park, Oxford OX4 4GA. Wireless Excellence sells through a distribution and reseller network with channel partners throughout Europe, Americas, Middle East, Africa, Asia and Australasia. Video content is (C) The Oxford Science Park.